These large scale drawings focus on limiting materials to paper, graphite and charcoal. By cutting, tearing, scraping and repairing, the paper becomes a physical part of the drawing, rather than just a surface. These drawings are unplanned, the forms develop freely. 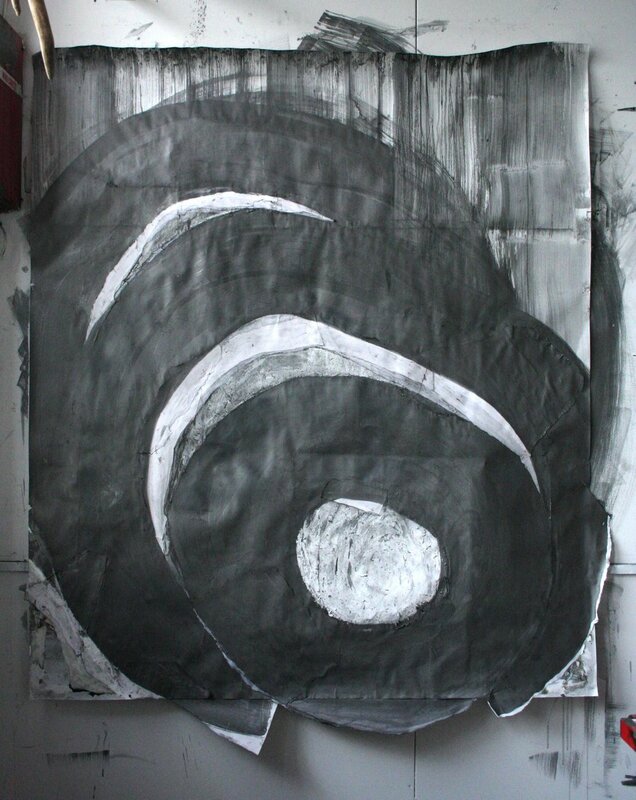 They are tests of mark, form and shadow; created, erased and brought back from a stick of charcoal.